We are currently CLOSED due to wintry weather. Please check back tomorrow, as we hope to be baking again soon! Rate and review Nothing Bundt Cakes in Exton, PA, United States! 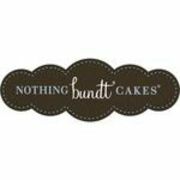 Share your experiences at Nothing Bundt Cakes with your friends or discover more Bakeries in Exton, PA, United States.